NEW YORK - Circa December, 2016 - A morning wintry establishing shot of traffic and upscale businesses on 5th Avenue near Central Park in Manhattan. DX. 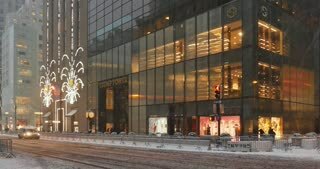 NEW YORK - Circa December, 2015 - A daytime establishing shot of the entrance to Trump Tower decorated for Christmas on 5th Avenue in Manhattan. NEW YORK - Circa December, 2015 - An establishing shot of 5th Avenue in midtown Manhattan. NEW YORK - Circa December, 2015 - An establishing shot of Christmas decorations lining 5th Avenue in midtown Manhattan. NEW YORK - Circa December, 2015 - An establishing shot of the Manhattan Microsoft store on 5th Avenue before it opens. 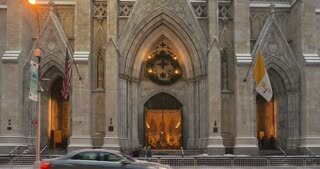 NEW YORK - Circa December, 2016 - A wintry establishing shot of the grand entrance to St. Patrick's Cathedral in Midtown Manhattan. 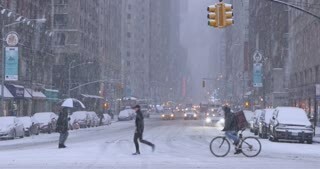 NEW YORK - Circa December, 2016 - A morning wintry establishing shot of traffic and upscale businesses on 5th Avenue in Manhattan. DX. 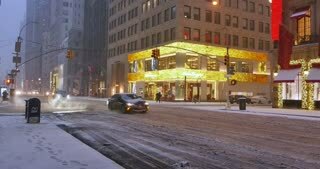 NEW YORK - Circa December, 2016 - A wintry establishing shot of the entrance to Trump Tower with a police presence guarding the building on 5th Avenue. NEW YORK - Circa December, 2016 - A morning wintry establishing shot of traffic and businesses on 5th Avenue in Manhattan. 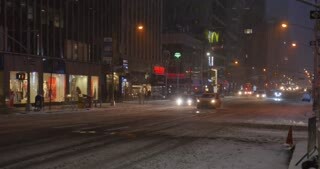 NEW YORK - Circa December, 2016 - Traffic and pedestrians on 6th Avenue in Manhattan during a snowstorm. DX. 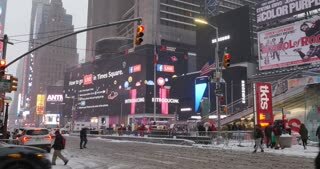 NEW YORK - Circa December, 2016 - A wintry establishing shot of activity at Times Square in Midtown Manhattan. NEW YORK - Circa December, 2016 - A wintry establishing shot of Trump Tower with a police presence guarding the building on 5th Avenue. 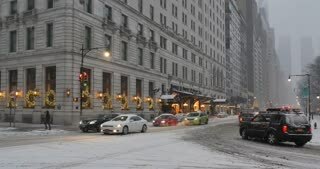 NEW YORK - Circa December, 2016 - A wintry establishing shot of the side entrance of the Plaza Hotel and traffic on Central Park South in Manhattan. DX.